Two weeks ago, I was fortunate enough to attend the Mom Mixer in Philadelphia, hosted by Classy Mommy's Colleen Padilla and Whitney Wingerd of Mommies with Style. What a fun outing!! It sure was a great way to strike up the Holiday season with previews of the hottest items on everyone's gift lists! 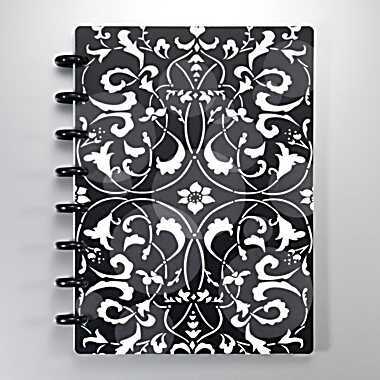 One of the fun items found in our swag bag was this beautiful arc notebook from Staples! You'll love how this notebook makes it easy to customize your book to meet your needs, easily and affordably. Staples has arc notebook products available to organize sections, add pockets or change the paper! You can choose from many different types of paper, like graphed, ruled or list style! I love how easy it is to move pages! You can easily pull them out and reposition them again and again! I know I'm always moving things around in an effort to become more organized and efficient! Here's how we're using the arc notebook at Betterwithabook!! We are using our arc notebook as a response journal. Each time Kylie reads a book, we have a discussion about what we have just read. Now, we record some of our responses in our notebook. Use these prompts listed below for ANY book response to help boost comprehension! Response journals help children to reflect on what they have just read, make connections and record progress! Have fun!! Disclosure: I was compensated for this post and received the product for free. As always, all thoughts and opinions are my own.